Across City University London a number of academics carry out research into Autism Spectrum Disorder with interdisciplinary studies carried out across the Autism Research Group in the Department of Psychology and the School of Health Sciences. To celebrate Autism Awareness Week and help the public better understand the condition, researchers from across City have explained their research and what is being done at the University to improve the understanding and acceptance of the condition. Research led by Professor Dermot Bowler in the Autism Research Group over the past two decades has demonstrated that individuals with autism often remember things differently. Specifically they tend to have difficulty remembering how different objects and events are related to one another in space and time, which can make it difficult to adapt to new situations. This work has led to the formulation of the ‘Task Support Hypothesis’, which provides educators and practitioners with a framework for understanding how best to support learning and memory in individuals with autism. Some of the Autism Research Group’s PhD students, Melanie Ring, Claire Derwent and Sophie Anns, have further extended this work to better understand how memory operates in younger children with autism and in those individuals on the autism spectrum who have significant language and/or intellectual impairments. Along with a British Academy funded project led by Dr Sebastian Gaigg in the Autism Research Group and Dr Emily Jones at Birkbeck, this work has produced innovative methods for studying learning and memory in children who are minimally verbal, paving the way for better characterising the role of memory dysfunctions in the early development of Autism Spectrum Disorders. There has been very little research on how the quality of life of individuals on the autism spectrum changes as they grow older. Are special support services needed for older adults with autism? Are they at greater or lower risk of developing age-related disorders such as Alzheimer’s? Very little is known about these issues to inform policy around support services. Research supported by the National Autistic Society and the Medical Research Council by Professor Dermot Bowler and Amanda Roestorf in the Autism Research Group, in collaboration with colleagues at King’s College London, is exploring the effects of ageing on the clinical and broader cognitive characteristics of autism, as well as the effects on the quality of life of autistic adults. Their initial findings, which were presented at the International Meeting for Autism Research (IMFAR, May 2015) and the Scottish Autism Research Group Seminar on Autism and Adulthood (February, 2016), suggest that intellectual functioning may be a potential factor in predicting positive outcomes for older autistic individuals. They are extending this work by currently examining age-related changes over time, in intellectual functioning, language, executive function and memory affecting everyday functioning and outcomes for older autistic adults. Around 50% of people with Autism Spectrum Disorders suffer from anxiety, which is among the most common reasons for them to seek help from health professionals. The causes of this high rate of anxiety and how best to treat it remain unknown. Recent research by Dr Gaigg and collaborators at Brigham Young University (Dr. South) in the US and the University of Newcastle (Dr Rogers) has identified the probable causes of anxiety in autism, thus paving the way for developing effective treatments. The research, which is currently under review for publication, suggests that many individuals with autism are anxious because they have difficulties understanding and describing their own emotions, which can create a sense of uncertainty that ultimately leads to feelings of anxiety. Work is now under way to translate this finding into effective treatments of anxiety for individuals with autism. Waiting times – Results from the project highlighted lengthy waits to obtain an autism diagnosis in the UK. Parents reported that they tended to wait around 3½ years before receiving an autism diagnosis; for adults, the delay was around two years. Satisfaction - More than half of the parents who responded to their survey (52%) and 40% of adults were dissatisfied with the diagnostic process. Post-diagnostic support - A key theme across all three of our groups – parents, adults and professionals – was that the support offered to autistic people and their families post-diagnosis was severely lacking and was in need of improvement. Other recent work by Dr Laura Crane (in collaboration with Dr Katie Maras at the University of Bath) has included a study which showed that seven out of ten autistic adults were dissatisfied with their experiences with the police, reporting discrimination, a lack of clarity and feeling that their needs were not met. These responses were echoed by the experiences of police officers in England and Wales, with one in five police officers being dissatisfied with how they had worked with autistic individuals and only a minority of police officers having received training on autism. The results emphasised the need for training that is tailored to specific policing roles, such as uniformed officers and specialist interviewers. This survey was linked to an ESRC funded project entitled ‘Access to justice for children with autism spectrum disorders’, which is led by Professor Lucy Henry from the School of Health Sciences, along with Dr Laura Crane and their colleague Dr Rachel Wilcock from the University of Winchester. This project seeks to identify how best to support witnesses with autism at different stages of the criminal justice process. As part of this project, the team have hosted two events for police officers to raise awareness of the characteristics of autism and discuss the issues that arise for policing. 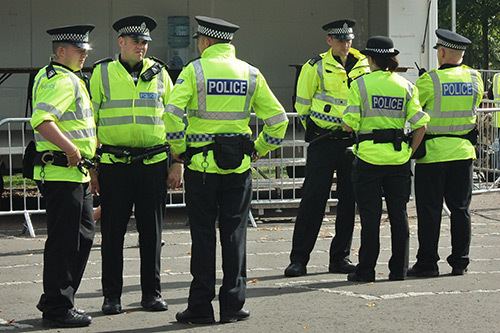 These events have been attended by over 200 police officers from six different police forces. Speech and gestures in Autism: a novel way to support diagnosis? In collaboration with Dr Fusaroli from Aarhus University, Anna Lambrechts in the Autism Research Group recently found evidence that aspects about a person’s voice and gestures during speech can reliably predict whether a person has an Autism Spectrum Disorder or not. 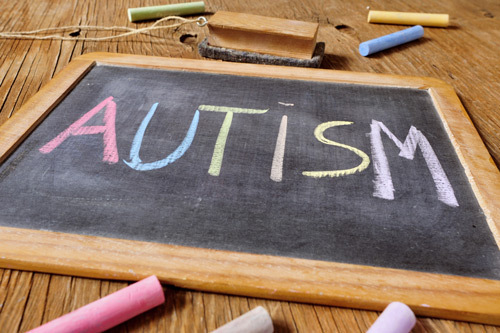 The results, which were recently presented at the International Meeting for Autism Research (IMFAR, May 2015), could help improve the process of diagnosing autism and may indicate that the voice and movement are potential biomarkers for ASD. Understanding how individuals with autism see the world by studying their eyes. Dr Paul Constable is investigating the retina’s response to light as a method for exploring the central nervous system in ASD. Some preliminary findings suggest that the retina can help our understanding of neural development and signalling in ASD. Dr Sophie Lind is leading research that focuses on so-called “metacognition” (i.e., knowledge and awareness of our own thought processes). The research shows that children with autism tend to be over- or under-confident in the accuracy of their knowledge. This finding has clear practical implications, particularly in educational contexts. A series of experiments on social decision making led by Alida Acosta in the Autism Research Group has recently found that individuals with and without ASD respond very similarly to ‘fairness’ when engaging in financial transactions with others. Although the research suggests that emotional and deliberative processes might mediate social decision making somewhat differently in individuals on the autism spectrum, the work does not support the notion that individuals with autism make decisions that affect others without taking their thoughts, perspectives and experiences into account. These findings help to understand the way interactions are constructed by and around individuals on the autism spectrum. An eye for detail - do individuals with autism see things differently?